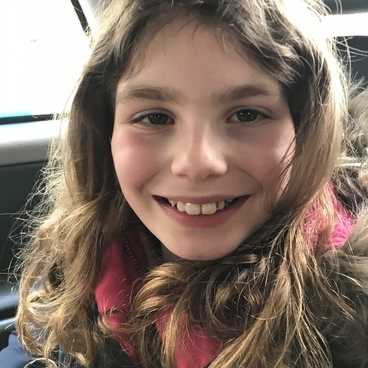 On 9th February 2018, after just a couple of weeks of minor symptoms - some double vision, a slight squint and generally just a bit wobbly - Lizzie, aged 9, was diagnosed with a brain tumour. It was the eve of the half term holiday and we were about to depart for a girls holiday of a lifetime, meeting up with her Dad, Mark, in Vietnam, who was away competing in a classic car rally. Within a few hours, Mark was on a plane home. 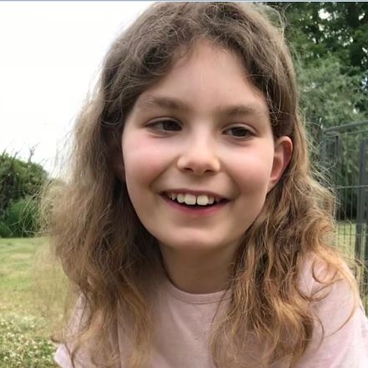 The second MRI confirmed a horrifying diagnosis, DIPG, an inoperable brain tumour of the brainstem for which there is currently no effective treatment. DIPG affects around 25 children in the UK each year, with an average life of expectancy from diagnosis of just 9 months. Lizzie died in our arms on 15th November 2018, just a week before her 10th birthday. In the months after diagnosis, Lizzie fought hard to keep her life normal. Throughout her treatment she attended school as much as possible, keen to see her friends and enjoy her favourite lessons. She got a much longed for puppy, an adored companion, and we spent time doing lots of fun things. From an early age, Lizzie loved to bake and this remained a fantastic constant for Lizzie throughout her illness, something positive at which she could continue to excel, winning prizes at local shows in the adult classes. .
During her illness, Lizzie wrote a recipe book, a compilation of over 100 recipes, "Keep Baking", which was published just days before she passed away. 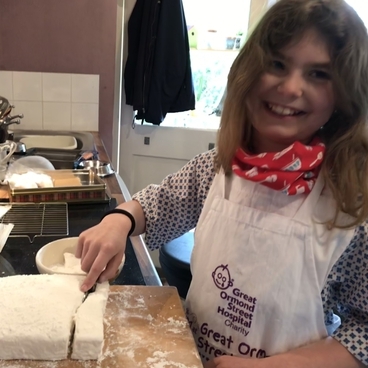 Lizzie's love for baking inspired her fundraising. It started with a cake stall at school, from which an amazing £4,000 was raised. This has snowballed, with family and friends holding more bake sales, sponsored walks, swims, cycles and sings, Christmas fairs and of course sales of her recipe book. Lizzie's Fund is targeted to support research into childhood brain tumours and in just 6 months Lizzie's Fund raised over £100,000. Lizzie bravely supported research every day through her participation in research trials, including BIOMEDE funded by The Brain Tumour Charity. Her family and friends are committed to ensuring that Lizzie's Fund will provide the critical funds required to find a cure for brain tumours and thank everyone in advance for donating and supporting our battle against one of the most devastating of childhood cancers. Follow us on Facebook Lizzie's Fund on Facebook or email lizziesfund@yahoo.com.